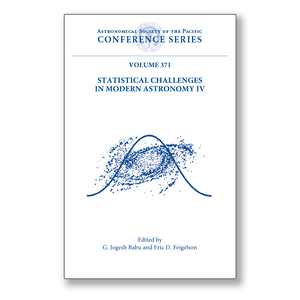 This is the fourth in a series of international conferences for the vanguard of researchers in the cross-disciplinary field of astrostatistics. Both astronomical and statistical communities now recognize the wide array of fascinating methodological issues faced by the modern astronomer. Ranging from terabyte wide-field surveys to small-N samples, from cosmology to the search for Earth-like planets, astronomical research can no longer be pursued with a small toolbox of familiar statistical methods. Over thirty distinguished scholars from both fields presented invited talks and commentaries on leading problems in astrostatistics. The methodological challenges of inferring cosmological insights from the cosmic microwave background fluctuations, the distribution of galaxies in space, gravitational lensing, and galaxy structure wre describe in detail. Time series analysis is discussed in a variety of contexts: sparse Poisson data, multiply-periodic systems, gravitational wave detection, and most dramatically in the search for extrasolar planets. Here sophisticated Bayesian model selection with MCMC computations plays a critical role. Other topics covered include image processing, analysis of mega-datasets from large surveys, and small-N problems in both astronomy and particle physics. The volume ends with cross-disciplinary overviews and software tutorials. The book will be valuable to graduate students and researchers in both astronomy and statistics who seek insights into this promising avenue of cross-disciplinary research.